Sebastian Gorka is a British-born Hungarian-American military and intelligence analyst, former dean at National Defense University, who served as deputy assistant to US President Donald Trump in 2017. He served from January 2017 until August 25, 2017. He is currently a Fox News contributor and now joins KAAA and KZZZ weekday afternoons. Rush Hudson Limbaugh III, Rusty to his hometown friends, learned his conservative political philosophy and Midwestern values while growing up in Cape Girardeau, Missouri. Rush got an early start discussing politics while shining shoes at age 13, eventually getting a taste of radio spinning records at KGMO in 1967 under the name of Rusty Sharpe. Rush eventually left Missouri for a radio job in Pittsburgh that lasted 8 years. Eventually tiring of radio, Rush worked for the Kansas City Royals in the publicity office. While working in baseball, he was lured back into radio at Sacramento’s KFBK hosting a successful talk radio show in 1985. Rush’s rise to fame wasn't always so easy. Over the years, he was fired no less than seven times from radio jobs before finding his niche and his loyal audience. His first nationally syndicated show started in 1988 with 56 stations across the country and he was inducted into the radio Hall of Fame in 1993. He also, at last count, was a five-time winner of the prestigious Marconi Award in the category of Network Syndicated Personalities. 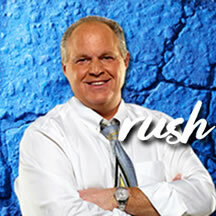 Rush can now be heard on over 600 radio stations across the country. His show is simulcast weekdays on KAAA 97.5 FM and KZZZ 94.1 FM and Tri-State listeners are part of Rush’s loyal listeners. 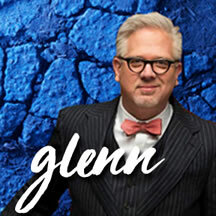 His radio show, The Glenn Beck Program, is the third highest-rated national radio talk show among adults ages 25 to 54 and can be heard every weekday afternoon right here on KAAA 97.5 FM and KZZZ 94.1 FM. Dr. Wagner is board certified in two specialty areas; Emergency Medicine and Family Practice. Graduated from New York College of Osteopathic Medicine in 1987, he worked Emergency Departments in New York and Florida before relocating to Arizona. He opened an urgent care in November, 2003 in Bullhead City, Arizona and continues practicing as well as doing a radio show on KAAA and KZZZ Talk Network. 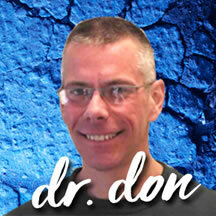 Dr. Don describes his practice: “We're bridging the gap between conventional medicine and lifestyle approaches to health and wellness.” His radio show is devoted to good health through eating right and the practice of the best medicine available in today’s world! Mike Gallagher's road to being the 6th most listened-to radio talk show host in the country (Talkers Magazine) began in 1978 as a 17-year-old high school senior in Dayton, Ohio. Mike talked his way into an on-air shift at WAVI-AM in his Ohio hometown and has been talking on the radio and television ever since. 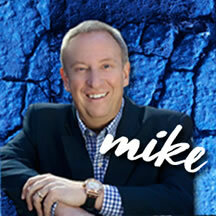 In 1998, The Mike Gallagher Show was launched nationally with 12 radio stations. Today, Talkers Magazine reports that he's the sixth most listened-to talk radio host in America with over 3.75 million weekly listeners in top ten markets like Los Angeles, Chicago, Dallas, Boston, Houston, and Philadelphia as well as cities all over the country, and is the 8th most recognized talk radio personality in America (The Benchmark Company). Mike has been featured in numerous magazines and newspapers including the New York Times, the Wall Street Journal, Time, and Forbes. Besides his talk radio duties, Mike is equally comfortable in front of television cameras, too. He's a Fox News Channel Contributor making frequent appearances on all of the Fox News Channel programs as well as occasionally guest hosting one of the talk shows on the cable news giant. 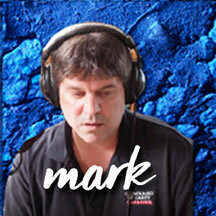 In addition to being wildly popular with listeners, Mike is enormously respected by his peers in the radio industry. Recently, he was named to Talkers Magazine "Heavy Hundred List", the 100 most influential and compelling talk hosts in America. This is the 11th consecutive year that he has been featured on this prestigious list. Mike's syndicator, Salem Radio Network, is based in Irving, Texas (near Dallas) and his show's offices and studios are in Irving as well as the world-famous Empire State Building in New York City. Mike's proudest achievement is his family. Mike and his wife Denise live in New York City and the Dallas area. Their four boys, Bryan, Trevor, Matthew and Micah have "sprung the nest" and are living all over the country either going to college or working. However, beloved dogs Thumper and Buster are still home and require constant care and attention. 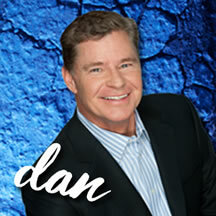 The Dan Patrick Show features the most extensive A-list interviews from the world of sports and offers Dan's unique perspective and dry sense of humor on the top stories and personalities of the day. "The DP Show", as it's commonly called, showcases guests as varied from professional surfers to NFL megastars, league commissioners to Hollywood comedians. The overwhelming majority of guests, however, are involved with sports, whether current or former athletes, coaches, commissioners or agents. Less often, guests who are not affiliated with sports will come on the show, although it is common for Patrick to ask at least one sports related question. Guests typically appear when the sport they are involved with is in-season, but may also come on before the release of a movie or music album or when the guest's name is mentioned in much recent news, such as an off-season trade or violation of the law. Bill Handel's Saturday show, "Handel on the Law," is bold, entertaining and addictive. 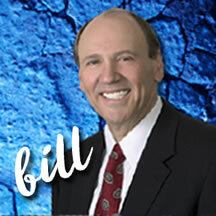 Bill definitely knows his way around our wacky American legal system, and with a quick wit and razor sharp tongue, offers up advice to countless callers on a weekly basis. Syndicated nationally, and now available locally on KAAA-KZZZ in the Tri-State, Handel has amassed a loyal fan base that continues to grow every year. Kim Komando is the host of The Kim Komando Show, a top-10-rated radio talk show with over 8 million listeners every week. She is also a syndicated columnist, and the author of seven books. Today more than 400 radio stations carry her weekly show around the world including KAAA 97.5 FM and KZZZ 94.1 FM. 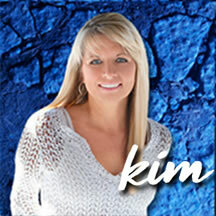 Kim also is a syndicated columnist, appearing in over 100 newspapers, including USA Today. She also writes a technology column for small business on Microsoft's Small Business Web site. Rejected by the big guys, she formed a partnership with Barry Young, a leading talk show host at KFYI in Phoenix. They formed WestStar TalkRadio Network and built a studio. Kim did the marketing; Barry kept the equipment running and formatted the show. Gradually, the show blossomed, as hundreds of radio stations signed on. Kim has since acquired the status of a cultural icon. The 20th anniversary edition of Trivial Pursuit includes the question: "Who earned the moniker Digital Goddess while hosting a radio show on the Internet?" The answer, of course: Kim Komando. Today, Kim runs a radio and publishing company with 30 employees. Her business, which is still growing rapidly, brings in millions of dollars per year. But she hasn't forgotten those tough early days. Join host Mark Walters, The Ordinary Guy columnist with Concealed Carry Magazine and co-author of the highly acclaimed book Lessons from Armed America, each and every week as he discusses guns, gun rights, the politics of guns, safety and training issues, politicians' efforts to curtail gun freedoms, concealed carry techniques and methods, and everything else related to your right to keep and bear arms. Armed American Radio can be heard right here, each and every Sunday evening on KAAA 97.5 FM and KZZZ 94.1 FM. TalkAtoZ.com © 2019 Cameron Broadcasting, Inc.